You can't stay on a Disney vacation forever, but you can pretend like you are! Take a little piece of the magic with you and always be ready to open a refreshing drink with this bottle opener key chain. 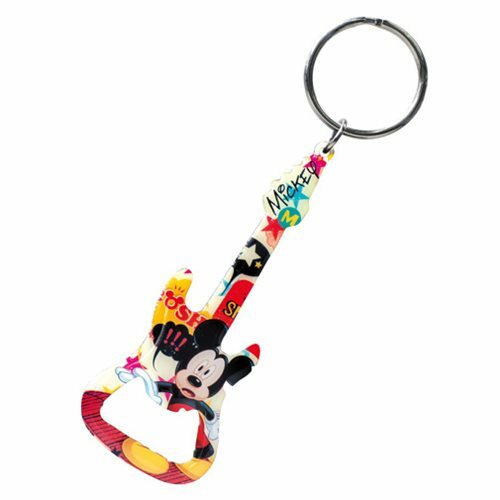 The Mickey Mouse Guitar Bottle Opener Key Chain is just the charm for any Disney fan's keys or bag.